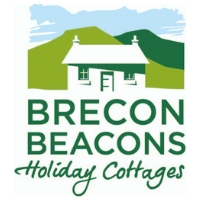 Brecon Beacons Holiday Cottages was set up by Elizabeth Daniel with just one cottage in 1980. Over the last 35 years, Elizabeth has grown the business and now has over 350 cottages on its books and is run from the centre of the National Park by a team of 10 people. We cover the vast 1000 or so square miles in and around the Brecon Beacons National Park. This crosses 5 counties; Carmarthenshire, West Glamorgan, Mid Glamorgan, Herefordshire, Monmouthshire and Powys. It’s an area steeped in history with plenty of culture and adventure. The area is full of mountains. The most famous range is the Central Beacons; Penyfan is the highest mountain in Southern Britain, and is flanked by Cornddu, Cribyn and Fan-y-big. To the west of the Brecon Beacons National Park is the less populated and wilder Fforest Fawr Geopark which includes the Fforest Fawr Massif and the Black Mountain and covers the western area of the Brecon Beacons National Park. To the North East are the Black Mountains, a group of old red sandstone hills stretching from Abergavenny to Hay on Wye, made up of peaks such Waun Fach (811m), Hay Bluff (677m), the Sugar Loaf, Ysgyryd Fawr (The Skirrid). To the North East are the rugged peaks of the Cambrian Mountains, the picturesque and verdant Elan Valley and the oh so remote Abergwesyn Pass. To the East, we cover the border territory, or the Welsh Marches, made up of pretty villages and rolling hills. We have a broad range of Visit Wales accredited holiday cottages which we have visited and can verify. Our dedicated team of local people are passionate about the area, know the cottages well, and are experts in matching cottages with visitors. We currently have a 98% positive service from Feefo proving that our booking process is smooth and easy. Customers who book with us receive an ‘Exclusive Map’, which entitles them to exclusive discounts and additional value on a whole range of activities, eateries and adventures in the region.